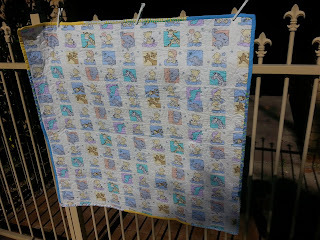 I finally decided to write a list of what quilts I currently have on the go - before I start yet another one. It was a little scary to realize I had twelve, yes twelve works in progress. One had been a flimsy for quite a while (maybe a year?) 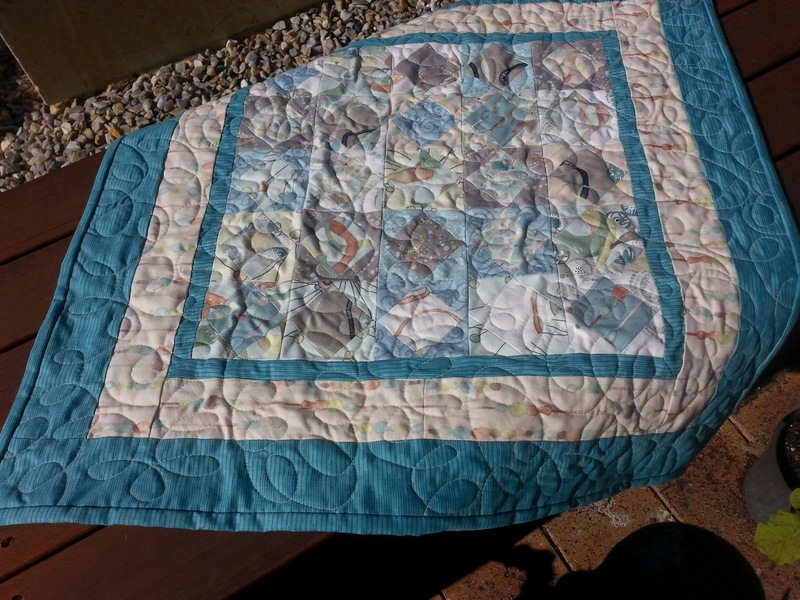 another was a small wall hanging that was all ready to be quilted. Yet 2 others were almost completed flimsies and so it went. So what was preventing me from completing these pieces and freeing myself to begin new exciting ones? Probably just the routines of life and the focus and will to begin and tick one off. 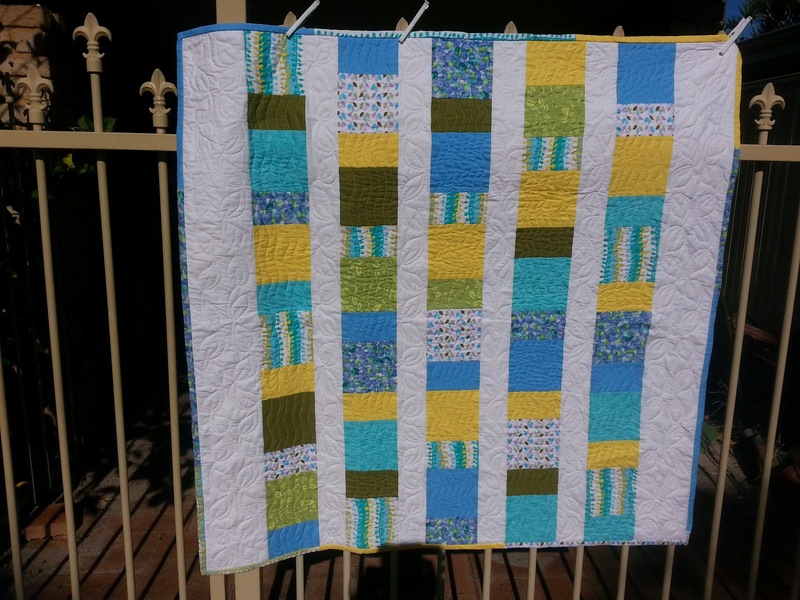 It's a very simple quilt, just squares and sashings, but I really like how the lemon makes it pop. 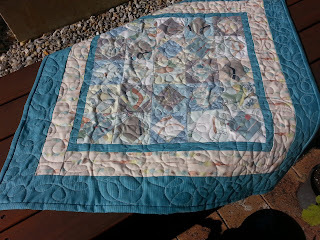 And the quilting was fun - why had I put it off for so long? 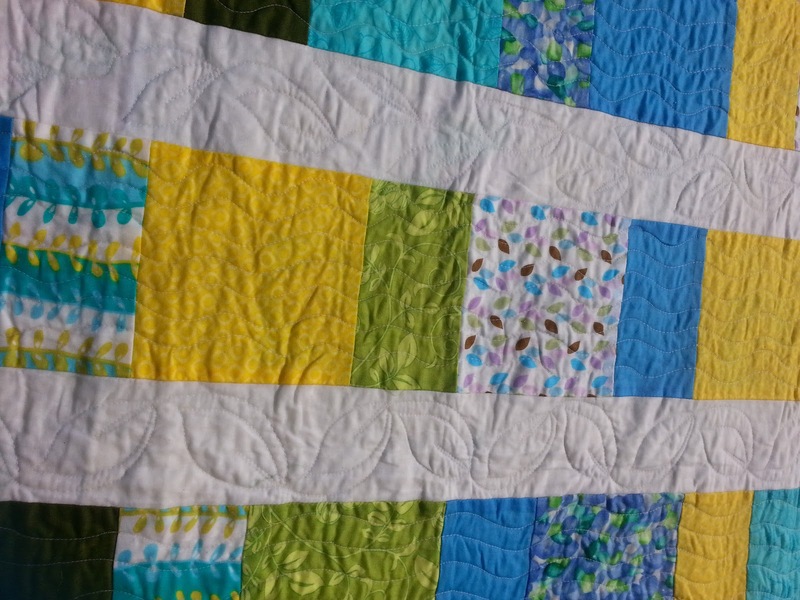 I did some free-motion quilting, a plain 'wiggle' in the coloured strips and some leaves in the white sashings. I don't have a long arm, just a Janome 1600QP but it does a good job! This is the backing, a simple print for this baby quilt. And below, a closer up of some of the quilting. 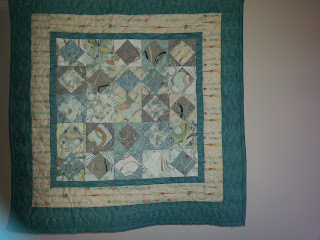 This one is 'in situ' in the bedroom where it matches a kit I bought and made up a while ago, 'Summer in the Hamptons'. This fabric was left over and I didn't want it to go to waste just in bits in other quilts, so the wall hanging was created. 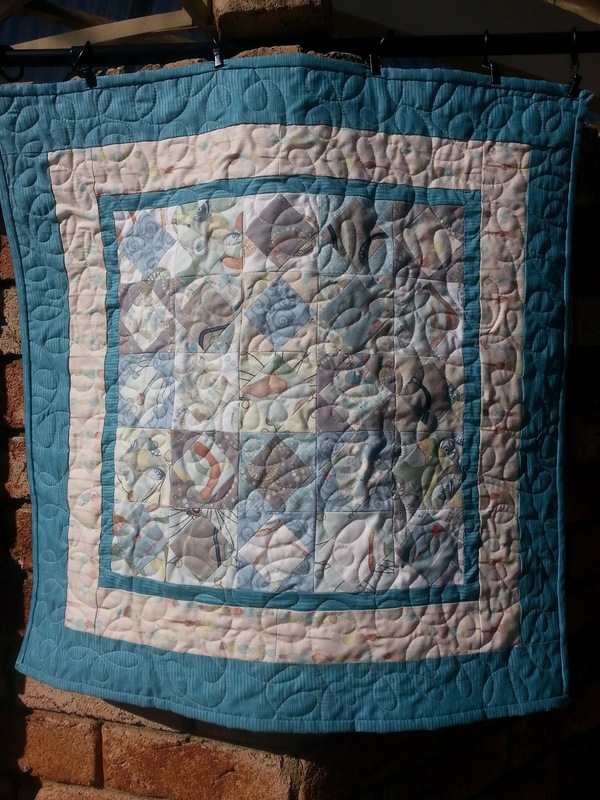 The photos above and below highlight the swirling quilting I did al over, which matches the bed quilt as well - that was a bit too large (Queen size) for me and is the last quilt I had professionally done by someone else. 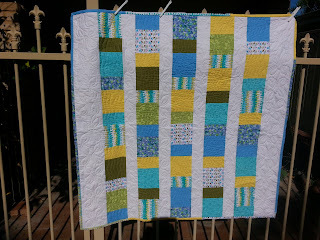 So now, having ticked 2 off my list, I'm also part way through quilting 2 more! Hope to have photos of them in the next few weeks. My goal now is to not have more than 10 on the go, hopefully less, but then some piecing is just calling to me. You had a very productive week! 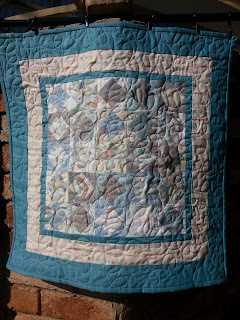 That is a very sweet quilt, and what a great way to use up 'leftovers' in a wall hanging. I wish I could finish my WIPs as quickly as you have finished these two! Awesome productivity and some great little finishes! It's always a little shocking to realize how many WiPs are lying around, isn't it?